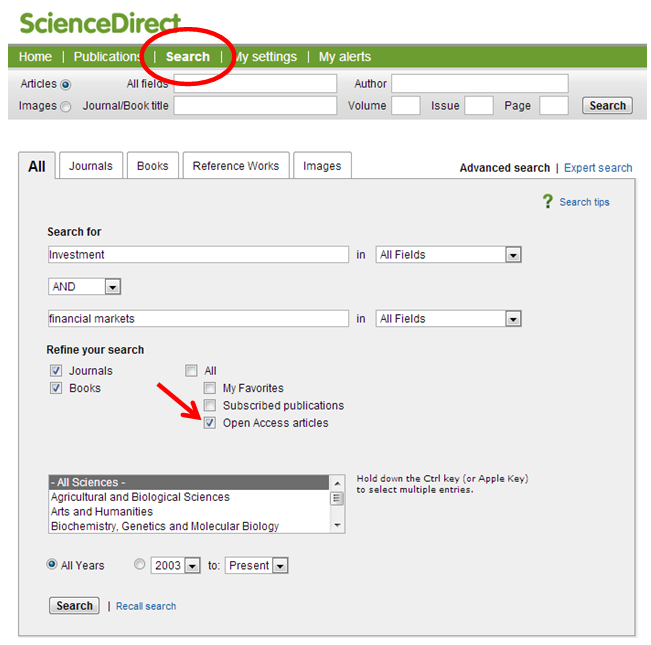 Science Direct : how to find Open access articles ? You may not have noticed, (as you have to admit, it is well hidden !) that you can search for open access academic journals, archibes and articles from the Science Direct search page . Open Access ? What is it ? Open Access (or free access) offers online digital content which can be available for free (Creative Commons licences, etc..), or subjected to rights relating to intellectual property. Open access mainly includes peer reviewed academic publications. All articles published in Elsevier open access journals are peer reviewed and upon acceptance will be immediately and permanently free for everyone to read and download. Authors who want to make their publications free to access and download can publish their research in academic journals, some of which are available on Science Direct. How to access these journals articles? Click on the article title to view its detailed instructions including the abstract, keywords, references and full-text link that will redirect you to the platform where it is hosted. How can I easily find a journal ? 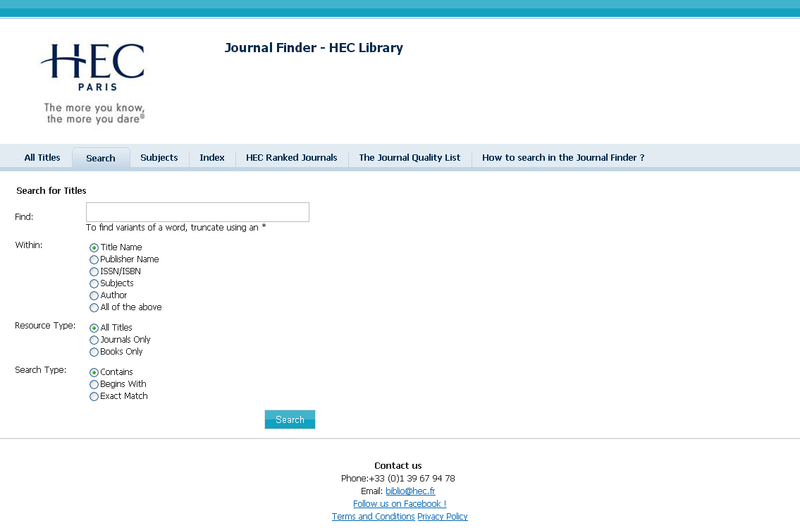 Whether you are searching for a specific journal title, only have one or two words of the title, or you want to see all the journals available on one particular subject , it isn’t always easy to find exactly what you want amongst the 10,000 electronic journal titles available through the library’s resources. A Journal Finder ? What is it ? It is an eletronic directory which allows you to search, locate and acess all the journals, newspapers and magazines which the library subscribes to. Accessible via the homepage of the library website , it contains the contents of the news and academic literature databases, as well as the websites of journal publishers where you can gain access to the full text of the articles. And how does it work ? 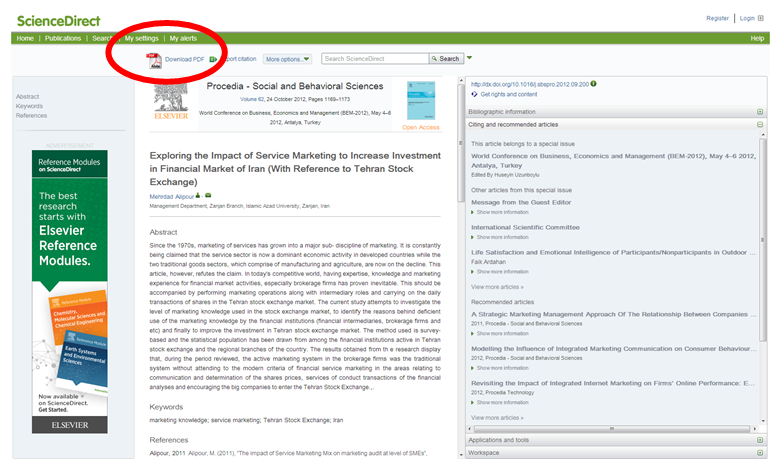 To search for a journal or review from the “Search” tab, simply type the exact title or words from the title into the search bar. If you don’t have this information, you can also search by the publisher’s name, the subject, the ISNN etc. If you want to find all the journals available in a particular discipline, for example ‘”accounting’’ use the ‘’Subjects” tab, and select the area from the drop-down list. 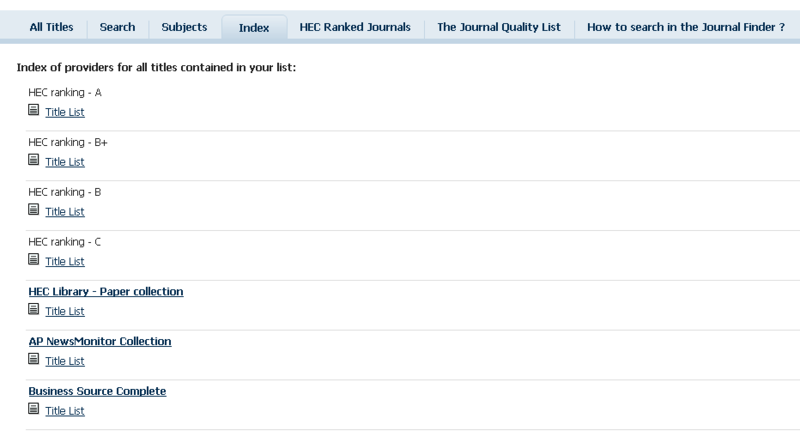 Finally, in the “Index” tab you will be able to see a list of available titles offered by each resource. A small search engine will then allow you to browse through the list of answers. 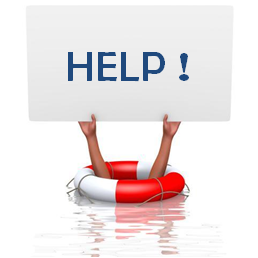 All that is left to do is to click on the resource of your choice, for example Business Source Complete, and you will be redirected to the journal page.